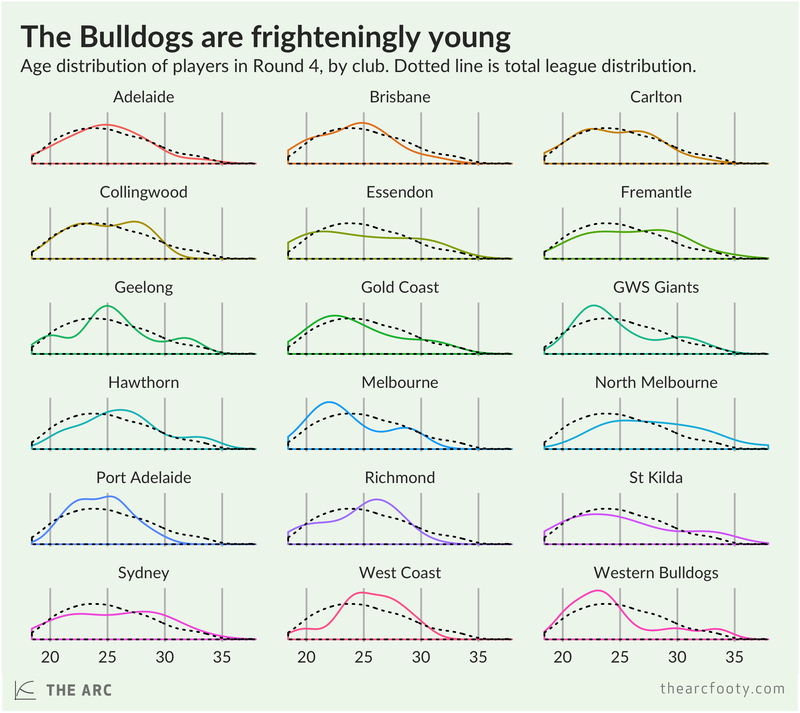 Compared to the rest of the league, the Western Bulldogs have a concentration of young players, aged around 23. Carlton, Adelaide and Brisbane all have age profiles that look pretty much the same as the league overall. Freo has more old players and fewer youngsters than the rest of the league, as does North Melbourne. West Coast has a glut of players in the prime mid-to-late 20s range.